I haven’t been to my once-regular hangout, The Redford Theatre, at all this year, and it seems unlikely that I’ll go over there before the school year concludes in a few short weeks. The likely reason for this is the lingering satisfaction – even nearly a year later – of getting to see my favorite James Bond movie On Her Majesty’s Secret Service at the Redford on the big screen last June. After seeing the film onscreen once before – and coming close to seeing it onscreen nearly 20 years ago in 1998 at the Brattle Theatre back in Cambridge – I was still excited to see it again. Reasons were similar to why I am often drawn to reissues or revival screenings: the immediacy of the cinematic experience can’t be replicated in your home or in a lighter setting. That’s especially true with this Bond movie, which offered a level of intensity and character that was arguably unmatched until Casino Royale appeared on screens 37 years later. The previous screening, at the Museum of Modern Art in New York City, offered the excitement of 007’s 50th anniversary year and took place in October, 2012. I’d made a special trip to the city for the event, and was not disappointed – mostly – except for the fact that a key sequence of the film was completely missing from the print that they showed. 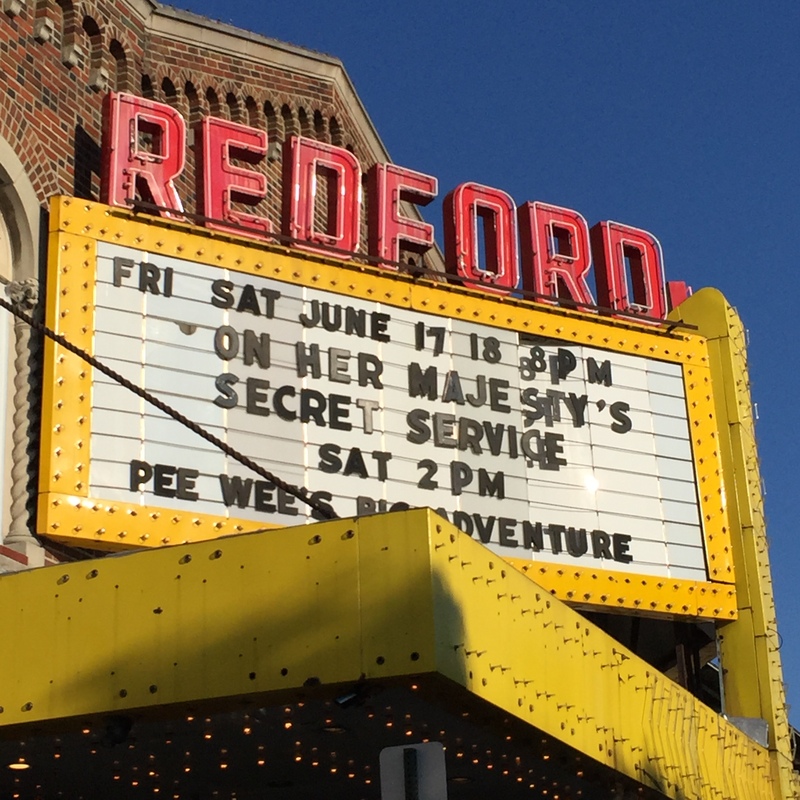 Thankfully that did not happen at the Redford and the emphasis was on the quality of the experience, complete with old-style intermission as is customary with their classic film showings. Of course another part of the appeal of this experience stemmed from having visited the primary filming location itself, as referenced in my YouTube clip below, high in the Swiss Alps. I’m currently looking in to making a return visit there, just over 10 years after when I previously went, and am hoping it will work out. So with the peaks of an experience like that with OHMSS, why would (or how could) I top that? It’s nothing against the Redford, though, and they continue to be a strong resource and community member of Detroit. 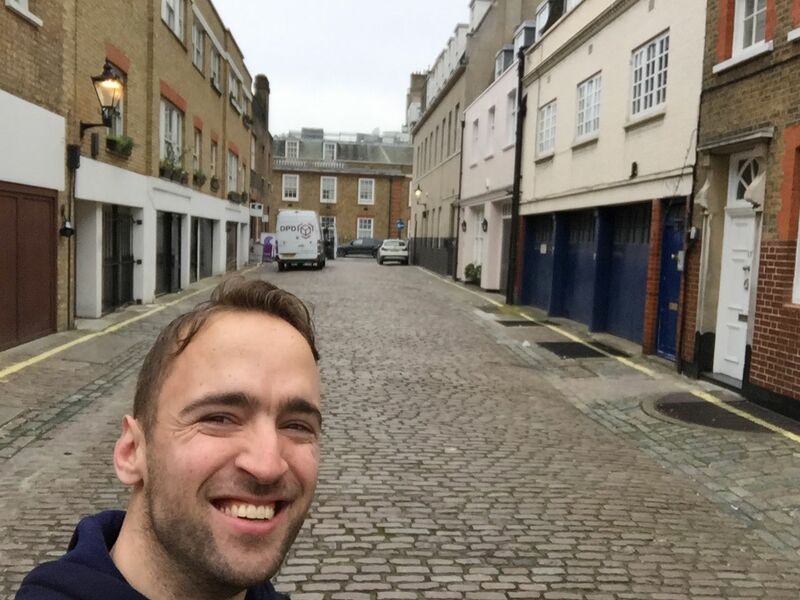 Paying homage to The Avengers (at one of the series’ primary filming locations) while back in London. 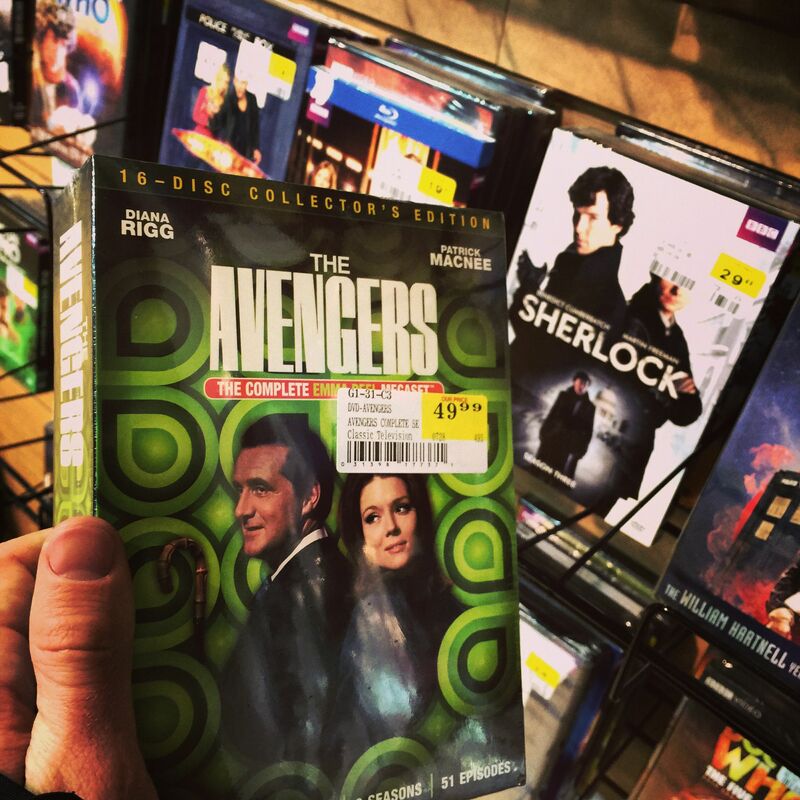 My recent visit back to England gave me some nostalgia over my original introductions to British culture, which came in the visual entertainment format of The Avengers television show and the James Bond film series. So I decided to re-visit some of their output during some downtime back here in the USA. First up was the Avengers fourth season episode entitled A Surfeit of H20. This story comes right in the middle of the series’ best season, and it made me quite unsettled when I watched it in my younger years. It seems to take a more unique spin on the standard Avengers formula than the episodes surrounding it, with two particularly eccentric guest allies complimented by two particularly devious guest villains. As always, the story is anchored the inimitable Patrick Macnee as the suave John Steed and Diana Rigg as his stylish partner Emma Peel. As an aside, the episode’s plot gets summed up rather well via Tumblr. In the modern era it is intriguing for me to look back (or rather look again) at many of the episodes which were frequent childhood/younger years viewing material for me. This had its ebbs and flows, coming first with the series showing regularly on the A&E network around 1990, and then a few years later on the Encore Networks “Mystery” channel from around 1995 to 97. The point is that I got to know the material very well. But, of course, with the now-older personal perspective, the material seems … different. wittier. more classic as time goes on. Those feelings felt particularly evident in the case of this episode, which, as I mentioned, spooked me when I was younger with its atmospheric black and white sequences, but now more amused me. At the same time it stands as a hallmark of the series’ black and white filmed era, with a tight attention to detail, location filming, and carefully chosen guest stars. Next up was a look at one of the color episodes of the Emma Peel era, Something Nasty in the Nursery. This is another one that I remember particularly enjoying when I was younger, but somewhat neglecting in the years since. The story takes a more pedestrian slant than most of the earlier tales in the series, but it’s indicative of the general campier and goofier direction of the series at this point in the production history. Steed and Mrs. Peel are tasked with discovering why top secret “hush hush” secrets are (again) leaking from higher-up government operatives. Turns our that the men in question had (conveniently) all been disciples of one Nanny Roberts, who later oversaw development of “GONN”, the Guild of Noble Nannies, a seemingly well-mannered finishing school for ladies in training. But it turns out that the current leaders of GONN, a Mr. Goat and Miss Lester, have other plans. This episode lacks the memorable style and depth of some other installments, and has a number of continuity errors (or simply bad edits) that detract from its appeal. A side plot involving an ultra upper class toy shop is more intriguing than the primary plot. But the story continues to show the series’ careful, deliberate and tasteful attention to style – especially in the color era – with vibrant hues bouncing off the screen and distinctive characterizations that live up to what writer Rodney Marshall calls the “subversive champagne” of the series, where dramatic layers are presented subtly with a slightly humorous edge. Finally, my re-viewing extended to a pair of James Bond films made thirty years apart – Casino Royale and The Spy Who Loved Me. But I will save those thoughts for another post.